President Jakaya Kikwete has signed three integrity pledges for public and private sectors in an effort to combat corruption and cultivate an ethical culture amongst public officials. Speaking during the signing ceremony held at the State House conference hall, President Kikwete said the pledges signed yesterday were to ensure that the state is free from corruption besides acting as a warning to those involved in corrupt practices. He said that after signing the document, all executive officers from all government departments, other public officers and those from the private sector will sign the integrity pledges thereafter in efforts to fight corruption in the country. He said the pledges will improve ethics, transparency, and integrity amongst public and private sectors as corruption has been a serious challenge facing the country despite having various initiatives to curb it. 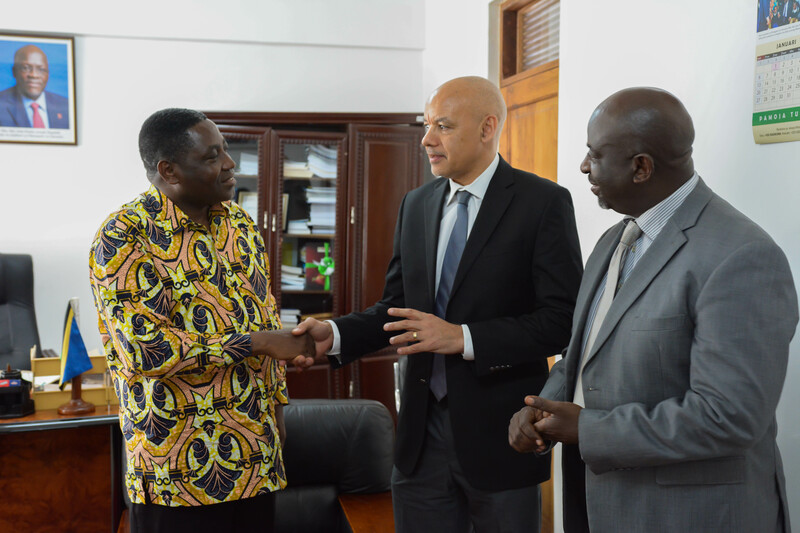 “It is a vital measure to ensure Tanzania is free from corruption, this is to show we are serious in curbing corruption in the country and at the same time have zero corruption from grassroots to national level,” he said. Kikwete also applauded the involvement of private sector in fighting against corruption saying that their participation will help the nation to reduce this challenge because this practice does not take place in the public sector only. He said the integrity pledge was among the 12 Big Results Now (BRN) goals set by the government to fight against corruption which he said include to provide public awareness, name, and shame corruption practitioners, to establish curricular that will be used in schools among others. Minister of State in the President’s Office for Good Governance George Mkuchika said integrity pledge aimed at ensuring government agencies and private companies adhere to their own set of code and conduct. Currently, he said, there are 100 companies under the CEO Roundtable umbrella and several government agency signatories have signed in the integrity pledge. He said among other things the government through the ministry of education and vocation training are expecting in the near future to introduce a syllabus on fighting against corruption in primary, secondary schools and higher learning institutions. “Integrity pledges are among the initiatives showing commitment to the ethical conduct and support a national campaign to fight against corruption and other vices that continue to tarnish the image of the country,” he said. Chairperson of the CEO Roundtable, Ali Mfuruki said that Tanzania has been slipping down Transparency International’s corruption perceptions index, and now ranks 119th out of 175 countries. He said that evidence of official corruption has been mounting, raising fears amongst foreign investors which he said is not good news for a country which has ranked 159th out of 187 in the human development index. Highlighting some historical features of the pledges against corruption, Tickson Nzunda deputy commissioner of the Public Service Management in the President’s Office said that a lot had been done, despite that corruption tendencies have been on the rise.